Need to sell an ugly house today? Did you receive an offer that was too low on your property? We give fair cash offers on houses in Atlanta, Ga. There are many homeowners wishing to sell a house fast. We buy homes daily that need repair, some full rehabs. 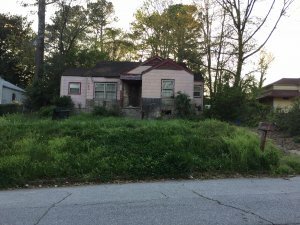 We buy ugly houses in any condition, any area in Atlanta. We provide you with options when trying to sell a house fast. If we can’t buy your house, we will let you know and provide even more options for an emergency sale. Selling a house fast can be a tiresome process for a homeowner. A professional home investor can work with you to close your house in a timely manner. If you are wondering how this is done, ATLFairOffer can help! The main advantage of selling a house in Atlanta is time. Money is time, and a transaction can be done within days. A good home investor will have a good closing attorney who can assist. A good investor closing may take around 14 days. The main objective of the attorney is to clear the house for sale or get a title of warranty deed on the house. This will ensure that the house is properly transferred into the end buyers name. At ATLFairOffer we are working around the clock to close on houses in an efficient manner. Sell your ugly house today with us, we will work out all the kinks involved with selling a house. We focus on making the process of selling to a home investor fast and simple.